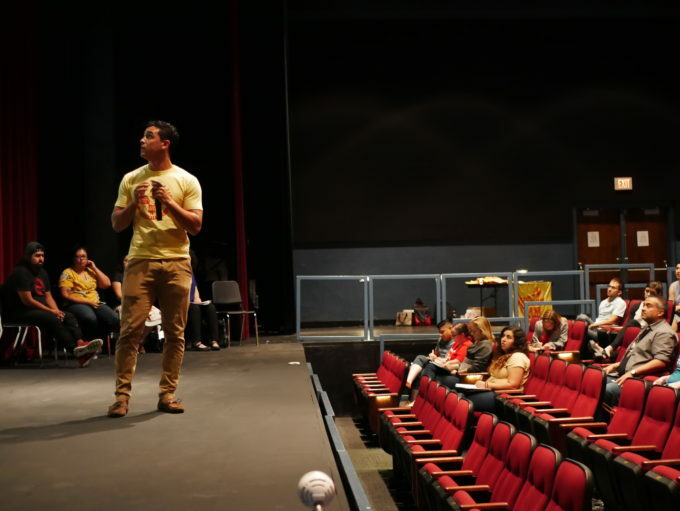 ALBUQUERQUE, N.M. – Last Friday, around a hundred University of New Mexico (UNM) faculty, staff and students gathered inside the university’s Rodey Theater to do one thing, help one another. The “How to support Undocumented Students on Campus” event was organized by the New Mexico Dream Team (NMDT) with the help of the Sanctuary Campus Working Group, an amazing group of driven and powerful leaders. The group consists of UNM professors, instructors, graduate students and others UNM faculty, who are committed to helping solve the problems their undocumented, minority, and LGBTQ students face, by fighting alongside them. At the gathering, student leaders about the situation faced by immigrant students with the current administration, shared tools on how to protect each other, and launched NMDT’s Dream Campus campaign. We feel hopeful after gatherings like this, and in our current society, hope is a feeling that is becoming increasingly scarce. Even so, we truly continue to feel hopeful. Hopeful because to us there are few things better than people coming together who have historically, or in some cultural regards, been at odds with each other. The breakdown of structures of power, which do much more harm than good, is something that brings us joy. Our hope and joy grows as we see students teaching and leading their professors and instructors, youth teaching and leading previous generations, undocumented and unafraid. It is these feelings of true freedom, hopefulness and joy that need to be harnessed and held close as we move forward in our movement. With the Dream Campus campaign were are making concrete, institutional change at our schools. We have a plan where educational institutions work their way up three tiers to reach their Dream Campus. Steps include having their educators take our DreamZone training and organizing groups of faculty and staff akin to the Sanctuary Campus Working Group at UNM. Since every institution is at a different place in terms of their support of immigrant students the Dream Campus campaign aligns to each individual school. 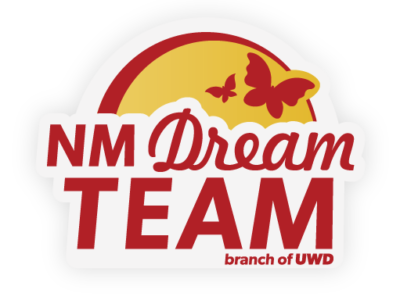 As we move UNM into tier 2, we are pioneering at another prestigious college by beginning to host our first DreamZone trainings at Central New Mexico (CNM) this semester. An accomplishment which will surely help us get CNM into tier 1. Always moving forward, we will continue to fight for the education we all deserve, regardless of our immigration status, our gender, our skin color, our religion or who we love. We must work together, all of us, because the white supremacy that rules this country must be destroyed. It is us, black, brown, indigenous and queer people who will build a new world where we are all guided primarily by love and self-determination. Eduardo Esquivel & Selene Vences are part of the New Mexico Dream Team’s Education Justice Department .